The international reaction to this year’s Ebola outbreak followed a similar pattern to previous deadly transmittable diseases. Initially downplaying or ignoring the problem eventually shifts into media overreaction and fear for the worst. The international community has been slow in such instances to take notice unless the death count reaches an alarmingly high number, or, more commonly, the chance that it could spread abroad and affect anyone becomes a possibility. Another typical pitfall is that the disease is viewed as a singularity, rather than a cause of a combination of other factors. Lack of education and awareness; an inadequate response from institutions; poor access to medical and basic services; all clash to create an environment where the spread of a virus can happen quickly. Above all, the reaction to an outbreak usually seeks to address the potential effects close to home while glossing over the broader issue. What is Ebola? Ebola is an infectious disease with an 80-90% mortality rate first documented in 1976. The current iteration has killed over a thousand and infected twice as many, the vast majority of cases recorded in the West African countries of Liberia, Guinea, and Sierra Leone, though several cases have also been reported in Nigeria. It is thought to be spread through the consumption of carrier fruit bats and other bushmeat and at present has no known cure or treatment. 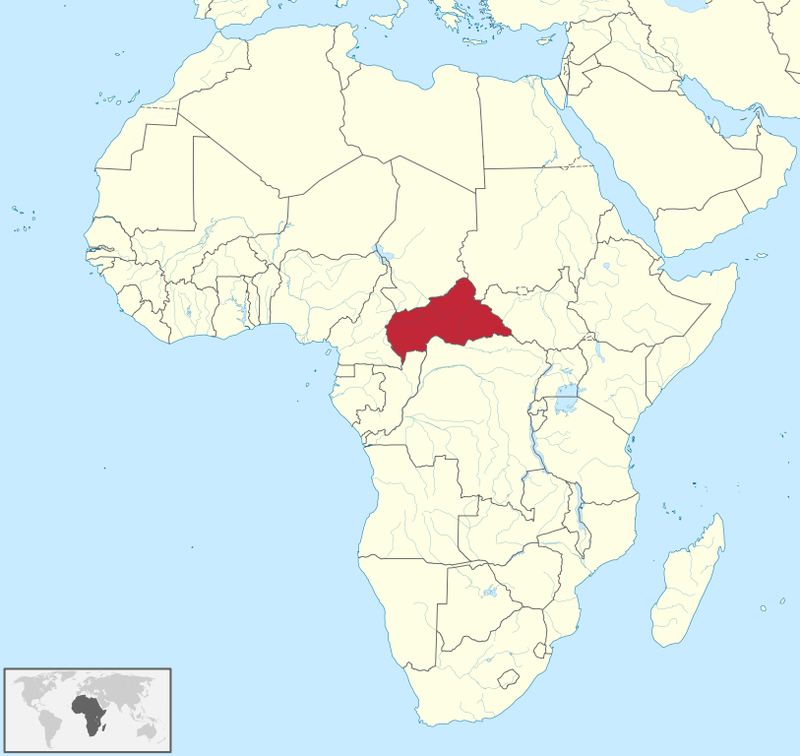 The two American missionaries who contracted the virus in West Africa attracted significant media attention upon being quarantined in US medical facilities in Atlanta. The disease is not easily transmitted under monitored conditions, but it is can be contagious upon contact with infected blood or other bodily fluids. 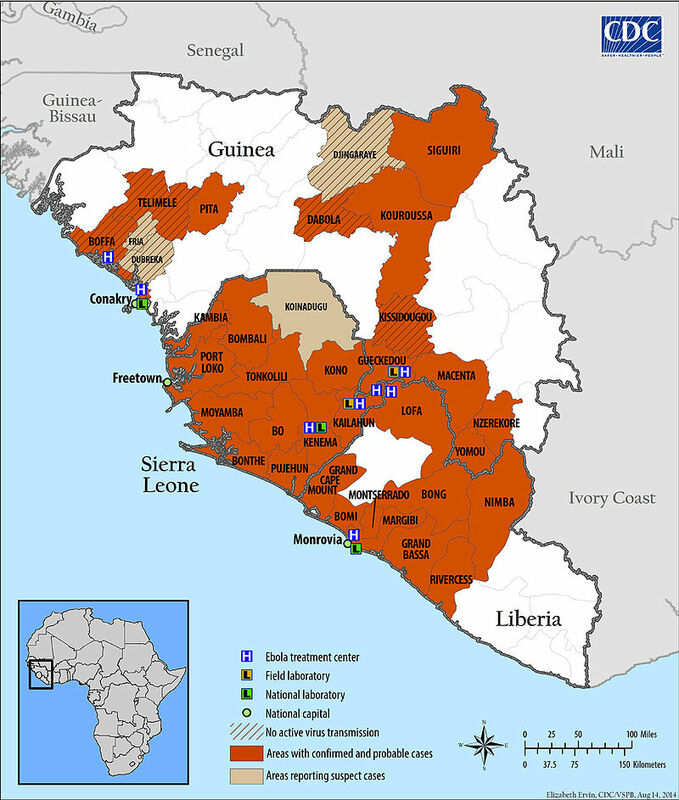 The outbreak occurring at present is not the first, but it is the largest and deadliest Ebola outbreak on record. Comparatively, Ebola is miniscule in fatalities and scope, but as it kills more directly than other diseases and because a lack of information on treatment has persisted the outbreak has stirred many fears. Because of passengers feared to carry the disease abroad, border points have been closed in Liberia and flights have been limited in West Africa. Furthermore, “if it recedes, it does not mean it is not present. You will see more outbreaks. It will be recurrent,” declares Stephen Morrison, director of the Global Health Policy Center at CSIS. 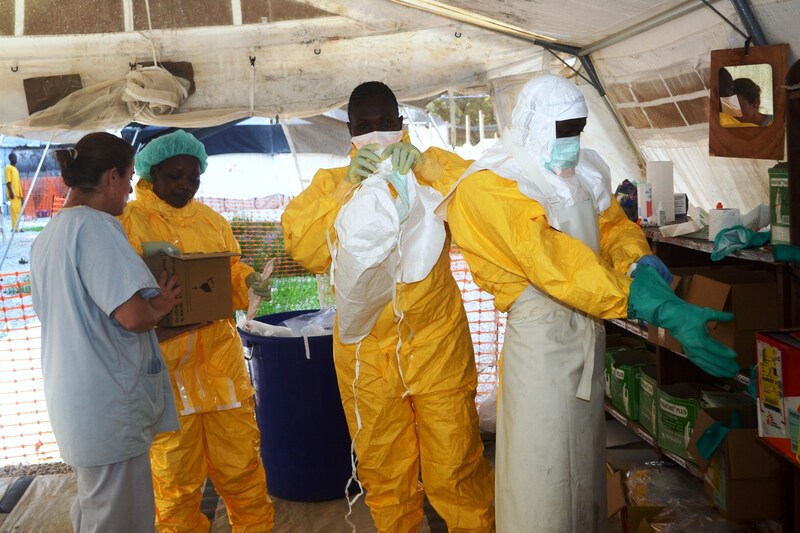 The greater problem is not containing the newest outbreak, which will be eventually accomplished, but rather addressing the issue at its source so that we are better equipped to handle the next virus outbreak, Ebola or otherwise. Misunderstanding of the disease has resulted in worsening the problem. In Liberia, young men with clubs attacked a medical facility allowing 17 to escape. Superstition, government mistrust, cultural practices, and a lack of education have underlined and encouraged the transmission of Ebola. 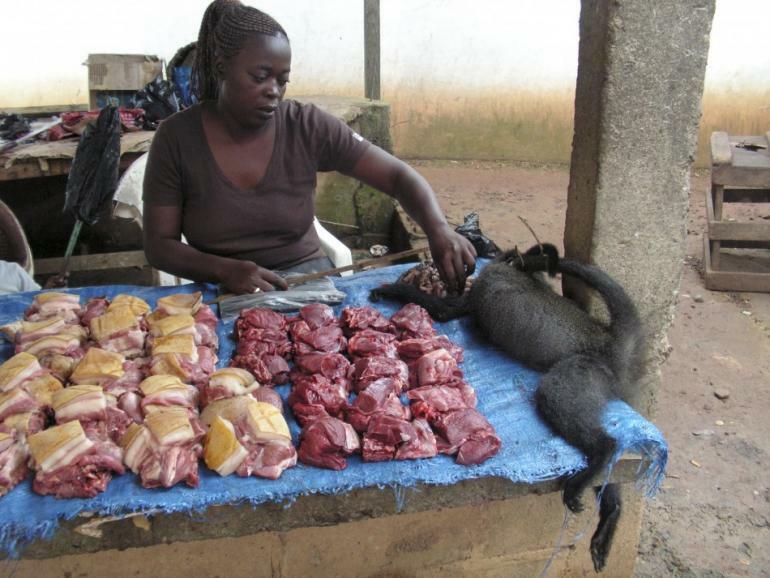 Many West Africans disbelieve the virus exists and will likely continue consuming bushmeat, thus increasing the chances of greater transmission. Addressing the roots of the cause such as the extremely low socioeconomic conditions that allow for such a disease to spread is the best long-term solution to preventing such problems in the first place. Reacting to Ebola and other deadly transmittable diseases only if there is a chance it will affect one’s home country only further serves to isolate much needed attention and aid. On one hand ignoring a virus like Ebola will definitely worsen the problem, but treating it like an apocalyptic disaster before getting all the facts can be just as deleterious. Both domestically and internationally, people should familiarize themselves with the problem itself, but also the wider issues at hand. Treating Ebola in a vacuum and ignoring the socioeconomic, cultural, and political antecedents that allow for the setting for Ebola to spread is shortsighted. A comprehensive effort to assist both those affected and those under threat of infection should be undertaken, and a long-term approach to educating West Africans and dispelling myths on disease should help counter the obstacles that have slowed aid thus far. North Korea, (the DPRK) is willing to reject modern globalization and completely separate itself off from the rest of the world in most aspects of society. As a result, the truth on the ground in North Korea is one of, if not the most, difficult to come across in the world for any sovereign state today. 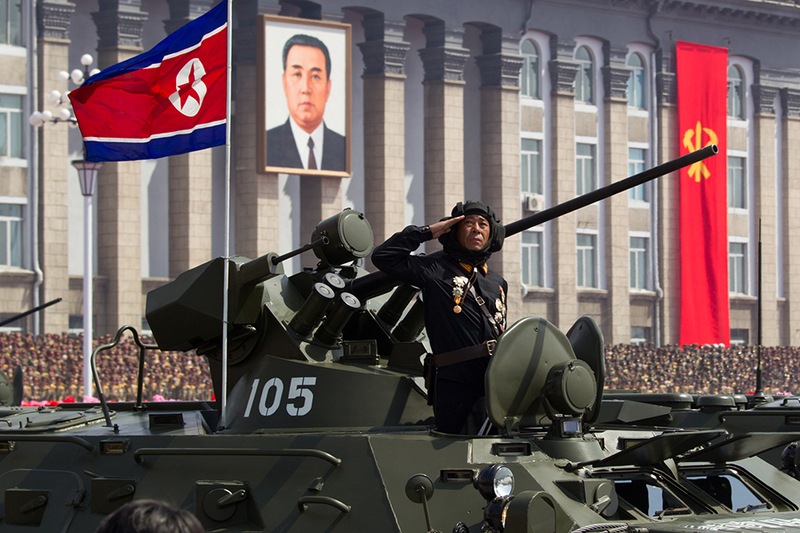 The saber-rattling and constant propaganda within the DPRK isolates their people and their government from the outside world to an alarming degree so predicting the next course of action that North Korea will take may seem like a fruitless endeavor. There is no simple and straightforward way to resolve the humanitarian crisis that has plagued the north half of the Korean Peninsula since the end of World War II. Nonetheless, a better understanding of recent North Korea history coupled with continued engagement, diplomacy, and patience can serve to unravel the options in how best to approach the Hermit Kingdom. The Six-Party Talks involving North Korea, South Korea, US, Japan, China, and Russia that began in 2003 have fallen far short of their goals of stopping or even slowing North Korea’s nuclear ambitions. North Korea walked out of the negotiations in 2009 and has refused to return to the table unless the talks begin without preconditions, which is unacceptable to the other participants. North Korea previously made gestures toward denuclearization, but each time soon after reverted to moves showing they were clearly continuing to advance their programs covertly or overtly. In total there have been three confirmed nuclear tests conducted in the DPRK (2006, 2007, and 2013), and estimates on their stockpile of nuclear weapons vary, though most reports cite between several to two dozen. Critical to remember is that separate from the amount of nuclear material and warheads available is the ballistics systems, which North Korea consistently has invested in improving. Though virtually no aid has been given to the DPRK from the United States since the former walked out of denuclearization negotiations in 2009, between 1995 and 2008 the US gave North Korea over $1.3 billion in foreign assistance; over 50% in food aid, and about 40% in energy assistance. Since 2009, nearly all other countries with the exception of China have given minimal aid. The DPRK continues to suffer devastating levels of widespread malnutrition and food shortages, but even when aid was high the unequal distribution failed to adequately address the problems. The fact that Kim Jong-un and his predecessors have ignored the economic infrastructure and treated the well-being of the common citizen as second rate is clear. However, the balance between turning a blind eye to the humanitarian crisis, and outright exacerbating the problems are unclear. Though perhaps the least impactful on policy directly, sports and cultural exchanges have opened interesting windows into North Korea and Kim Jong-un. When Dennis Rodman and members of the Harlem Globetrotters visited North Korea for a trip which included a game with national players, it drummed up considerable discussion and no shortage of controversy. The strange relationship between North Korean leaders’ love for American basketball and western consumerism (Kim Jong-il reportedly was the largest buyer of Hennessy) underlines a kind of hypocrisy in dealing with the outside world. While only very few are exposed to foreign culture, if that double standard of political opposition, but indirect adoration can be highlighted then perhaps changing North Korean’s perspectives on their situation could be possible. While Dennis Rodman may have accomplished little more than inflating Kim Jong-un’s ego, other individuals like Rob Springs with Global Resource Services, who has devoted time and resources to humanitarian causes within the DPRK have been able to make more positive, though very limited, change outside of elite circles. Attempting to normalize relations or interact within North Korea without care can have the consequences of legitimizing the leadership and ignoring or setting aside the wider problems the country faces on a daily basis. The limited projects and NGOs from the West that are allowed to engage with North Koreans directly, such as the GRS and the Pyongyang University of Science and Technology should be further explored, while being aware of the opportunity for the government to manipulate such positive exchanges. Dealing with North Korea directly, either via economic/military pressure and intimidation, or through incentives and aid, has thus far proven unsuccessful in making lasting large-scale progress. Despite that, the US, South Korea, and West should continue to monitor and track the military threats and nuclear ambitions of North Korea, while also keeping relevant avenues of dialogue open if the DPRK will return to negotiations. Part of the reason the DPRK has found relative success by its own right in shaking its fist at the outside world is because it has done so often spontaneously. Small scale aid and projects through private groups have been able to achieve limited goals, and working to help North Korean citizens directly could help chip away at decades of mistrust. Approaching the DPRK from not just a macro level, but also through smaller initiatives opens up more possibilities for the people of North Korea to interact with the outside world. The Kim Jong-un regime is firmly in control, though hopefully in time there are real alternatives available for the North Korean people to make their own decisions. North Korea (officially the Democratic People’s Republic of Korea) is a country of 25 million that has been effectively trapped in a Cold War mindset since the 1950s. 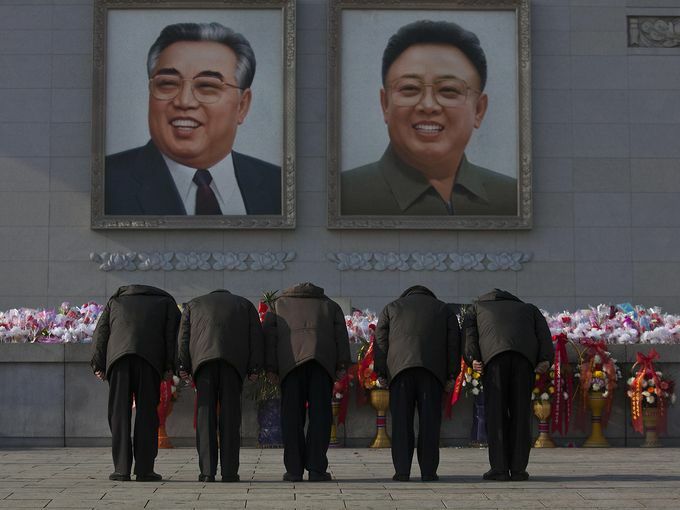 Like his father Kim Jong-il who ruled from 1994 until his death in 2011, Supreme Leader Kim Jong-un has run the country through a policy of desperation, repression, and isolation, the last of which has given way to its label as the Hermit Kingdom. North Korea is governed by Juche, a political ideology of self-reliance used to justify the totalitarian military dictatorship and the idolization of its hereditary leadership. Kim il-Sung, the father of Kim Jong-il and grandfather of Kim Jong-un, is the founder of Juche and still the Eternal President of North Korea despite the fact that he has been deceased for over 20 years. Worshiped like a God, the leadership of Kim il-Sung and his successors are treated as infallible, and their policies have driven the country to a draconian state in a constant humanitarian crisis with alarming similarities to George Orwell’s 1984. The conclusion of the Korean War (1950-1953) resulted in a cease-fire though not a formal peace treaty, thus technically the two countries have been at war for more than six decades. The sinking of the ROKS Cheonan navy ship that killed 46 South Korean servicemen, and the shelling of Yeongpeong Island, also in 2010, are recent skirmishes that prove North Korea is willing to push the envelope on what is acceptable in terms of brash maneuvers to embolden their own military situation. Though the rhetoric and threats far exceed the reality of the situation, North Korea has shown it is an unpredictable and temperamental thorn in the region. For example, despite an extensive array of measures, sanctions, and incentives offered to give up its nuclear and missile programs, North Korea continues to develop and test its weaponry and nuclear capabilities. The reality for many North Koreans is far from the front lines, despite hosting the most heavily militarized border in the world with South Korea. 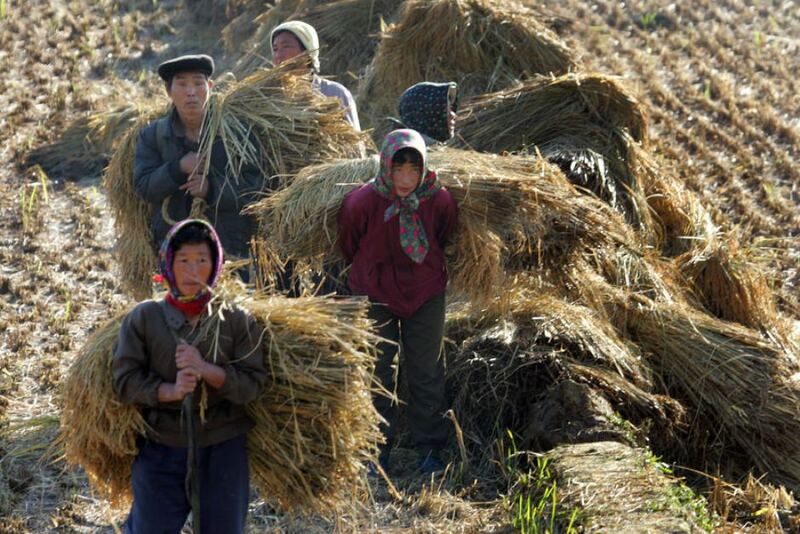 Millions of North Koreans live and work in labor camps which have been compared to Nazi labor camps and Soviet gulags. The inhumane conditions are coupled with the extent of service in the camps, which can span past one’s life onto their future kin. In the relatively short span of several generations malnutrition and starvation has resulted in a marked difference in stunted health and growth between North Korean children and their neighbors in South Korea. The health emergency has become the norm in the country and the state has taken great effort to hide the scale and extent of the atrocities. The average North Korean knows next to nothing about the modern world, living in a caged country and with minimal hope for change. Most comparable humanitarian disasters are troubled by a lack of governing authority and distribution networks. Uniquely, the North Korean government has defiantly rejected food aid many times because of the conditions dependent on halting or ending its nuclear ambitions, and its stance on the donors themselves. Its adherence to the Juche self-reliance ideal has created a paradox of being unable to sustain itself without outside help, while being ideologically against accepting most assistance with the exception of its closest quasi-partner, China. China has seen North Korea as a buffer zone between a united Korea under Western influence, and has desired internal stability in the Hermit Kingdom over an even worse humanitarian disaster that would inevitably come with state collapse. Recently, the United Nations has tried to put additional pressure on China to change its policies towards repatriating North Korean defectors, many of whom must travel to Southeast Asia before being accepted as refugees in South Korea. The transition into the modern world for North Korean defectors is so shocking that assimilation is an extremely difficult task in itself. 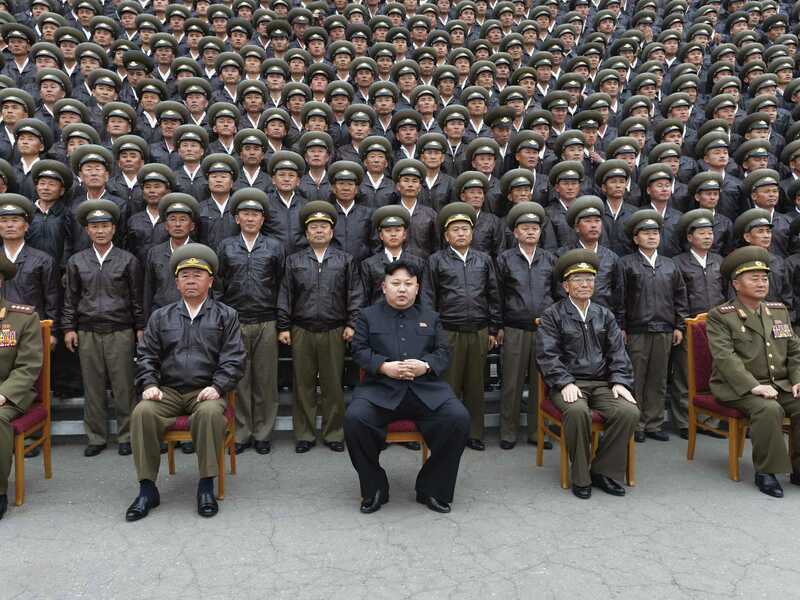 While a total reformation of the North Korean political system seems the best way forward for the people of the DPRK, total state collapse would inevitably bring about chaos and tremendous consequences for the millions of refugees that would find themselves in a totally new world they have been taught to fear their entire lives. The Iraqi government, the United States, and the international community must recognize the situation on the ground in Iraq and label it appropriately for what has become: a new civil war. 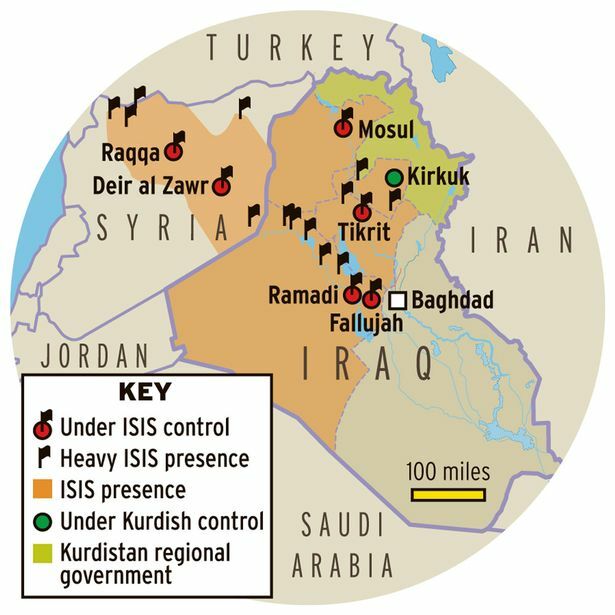 The Islamic State in Iraq and the Levant (synonymous with ISIS) now control cities and significant territory within the country, has further deepened the fracture between Sunnis and Shias, and it has created a vacuum that the Kurdish Regional Government has capitalized upon. ISIS captured the second largest city in Iraq, Mosul, on June 10th. While the scale of the attack and the success they achieved was unprecedented, their rapid growth and brutality is nothing new. The Sunni Islamic terror group’s first major attack freed hundreds of militants from the Abu Ghraib and Taji prisons occurred in July 2013, nearly a year ago. Since then they have continued to gain sympathizers, fighters, and land, and they now are fighting towards Baghdad while threatening what little stability is left in the country. In February, ISIS was disavowed from its affiliate status with al-Qaeda, and the radical group has continued to prove its effectiveness on its own in pursuit of creating a new Islamic caliphate under strict Sharia law. In the attack on Mosul, the Iraqi army deserted en masse, leaving behind weapons, military equipment, and even uniforms. ISIS has even added former Saddam loyalists to their cause, stirring old animosities against the current Shia government. Thus far, the Iraqi government has proven to be wholly incapable of mounting a counter campaign to reverse the progress gained by the extremist group. 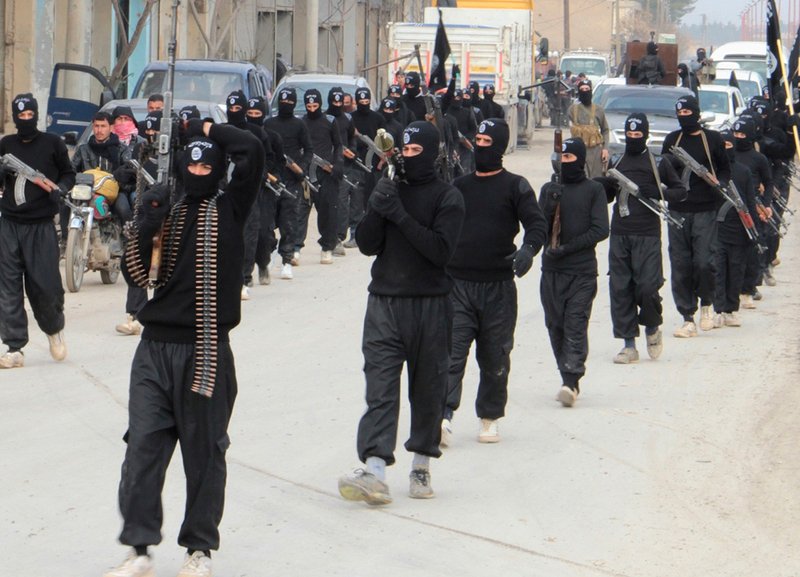 At present, ISIS informally administers a volatile region spanning from eastern Syria to western Iraq. ISIS has enough resources and firepower to attack conventional security forces head on though they additionally utilize suicide bombers with devastating results. The alliances that have been sought with tribal militias and locals to fight ISIS have fallen far short in creating a united opposition to the intruding extremist group. As a result, the US has signalled that it wishes for a new Iraqi government to be formed without the current Prime Minister Nouri al-Maliki, accusing him of failing to curb the festering sectarian divisions plaguing the country. 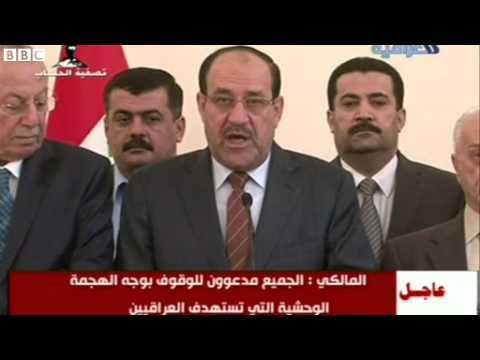 Maliki has had significant troubles appealing to the Sunni community and has marginalized many Sunni leaders in how he has approached the crisis in the western Anbar region. It is clear that without international support the Iraqi government, with or without Maliki, cannot hope to administer their own country. Iran’s stake in Maliki and a stable neighbor in Iraq, the only other large Shia majority country, has also been brought to the forefront. Iran is already deeply involved in Syria and propping up the regime of Bashar al-Assad, but ISIS is a common enemy for both Iran and the United States. Furthermore, the Kurdish Regional Government (KRG) has jumped in and taken control of Kirkuk and other smaller towns previously contested between the KRG and Iraqi government. The Kurdish Peshmerga security forces have not directly fought with ISIS on a comparable scale to the Iraqi army, but they are a critical element to be reckoned with in terms of both the future of the Iraqi state and ISIS controlled territory on their border. The nascent war currently raging in Iraq between Islamic extremists and the Iraqi government is not the responsibility of the United States. If an American says, “this is not our fight” then they are correct, the current crisis is not a fight of the United States. However, this war has developed under the current Iraqi government that recent events have suggested may be impossible to truly win. The Iraqi government needs to make further concessions to moderate Sunnis willing to stand up against the terrors of ISIS. The Kurdish factor also cannot be ignored, and as they have their own highly trained security forces (the peshmerga), parlaying with the KRG against ISIS should be an obvious option to pursue. The wider involvement regarding the US, Iran, and beyond needs to be weighed with the larger security threat as a whole. If ISIS is able to build an autonomous, unrecognized state within the borders of Syria and Iraq that can export terrorism to neighboring countries then the priority should be to disable that threat as quickly as possible. 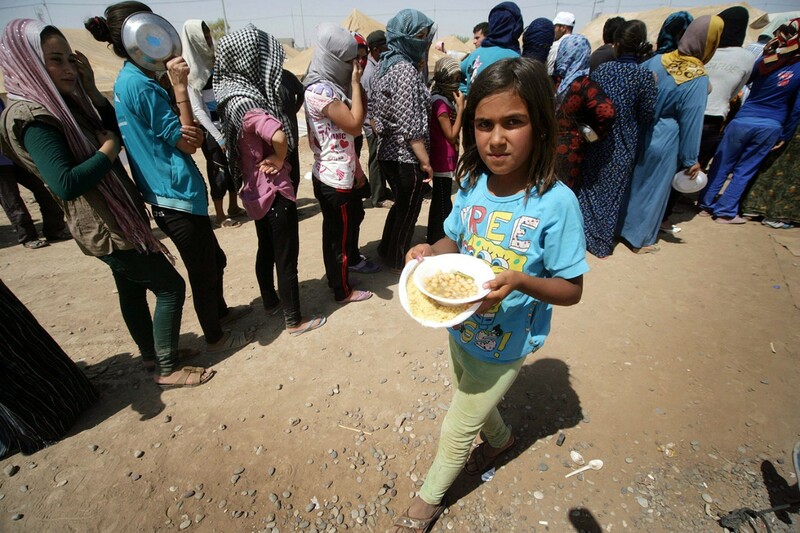 The safety and security of innocent Iraqis, whether they be Shia, Sunni, or one of the myriad of smaller minorities, needs to be addressed as well. The US cannot and will not send a conventional military force back to Iraq in the near future. However, utilizing the resources and relationships in the region to stem the success of ISIS for the benefit of all must be pursued. Iraq cannot continued to be ignored, and the problems it faces will continue to worsen until there is significant change in how the people of Iraq are empowered to stand up and oppose ISIS. 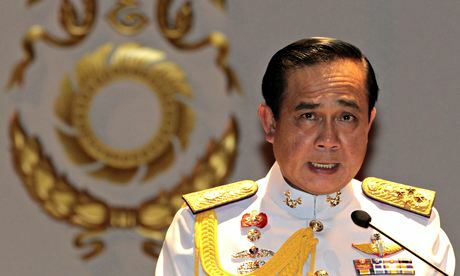 Thailand has once again fallen victim to a military coup with the ouster of democratically elected Yingluck Shinawatra on May 22nd. This is the latest of well over a dozen coups the country has experienced since the abolishment of its absolute Monarchy in 1932, and the ruling interim authority set up by the military, the National Council for Peace and Order (NCPO), has already taken harsh steps to preventing any dissent. Hundreds of political figures and activists have been arrested, martial law has been instituted, and a gathering of as few as five people can be sentenced to at least a year in prison for illegal assembly. Human Rights Watch has called for an end to civilians facing military trials and arbitrary arrests, warning that the sweeping measures adopted by the interim NPCO authority are setting the groundwork for a military dictatorship. The coup has come after over seven months of ongoing political crisis that so far has claimed the lives of over two dozen people due to interspersed faction violence. 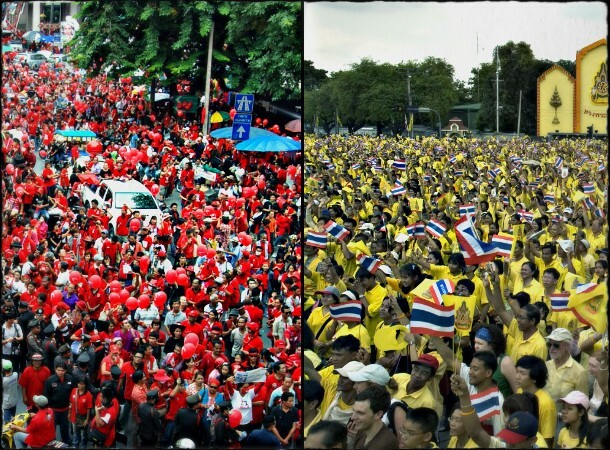 The political divide in Thailand falls largely between the ‘yellow shirts,’ (the People’s Alliance for Democracy) who are primarily urban upper class and pro-Monarchist, and the mostly rural and urban lower class ‘red shirts’ (the United Front for Democracy Against Dictatorship). The conflict between these two sides of society has only been worsened by the intervention of the military and their actions which have included the suspension of the constitution. Additionally, the NCPO has closed border crossings to Laos and Cambodia, imposed curfews, and General Prayuth Chan-ocha has declared himself acting Prime Minister of the country. In supporting ex-Prime Minister Yingluck, the red shirts have protested against the rampant interference in the political process after opposition yellow shirts blocked enough polling stations for the courts to declare the preliminary general elections invalid earlier this year. The yellow shirts opposed Yingluck and her brother and predecessor as Prime Minister, Thaksin Shinawatra, for alleged corruption. Thaksin has lived outside of the country in exile since he was removed in a military coup in 2006. The yellow shirts thus sought reform and the immediate removal of Prime Minister Yingluck rather than scheduled elections. Now that the military junta has stepped in, the yellow shirts have won in regards to Yingluck’s ouster while the red shirts have further been marginalized and have vowed to continue to fight for their right to vote. The King of Thailand, the longest ruling Monarch still in power today, still holds some important powers including his position as the leader of the armed forces and the head of state. The King’s official recognition of the NCPO and its leader General Prayuth, lent legitimacy to the coup and further complicated the process towards a representative government. Revered especially by the yellow shirts, King Adulyadej at age 86 is the symbol of consistency that many fear cause a chasm if his ailing health continues to worsen. Without the King, as encroaching military authority will have little trouble in solidifying its own interests at the expense of both political groups as has been seen by their actions so far. While the red shirts have been directly disenfranchised, the yellow shirts who are tacitly supporting this military takeover are assuredly feeling much less threatened. Nonetheless, the relationship between the yellow shirts and military will be very interesting to follow as it develops over time. The actions of the armed forces and the protesters who both sides that took up violence or intimidation tactics to push their agendas has culminated in a government in the hands of a few highly connected military officers. 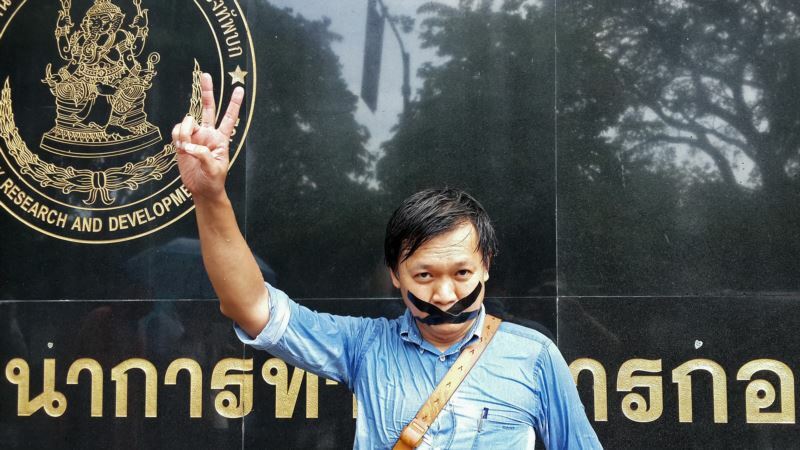 If flashing the ‘Hunger Games’ salute can put you in jeopardy of going to prison, the outlook for the future for Thailand is not bright at the moment. The NPCO says it is acting in the interest of Thailand’s stability, and while creeping violence was previously an issue the ironfisted approach of removing Yingluck and clamping down on dissent has spun the country backwards. Curfews in key tourist locales have since been lifted by the military after tourism crashed in the country following the coup, but the authoritarian laws on the opposition groups are likely to stay for much longer. 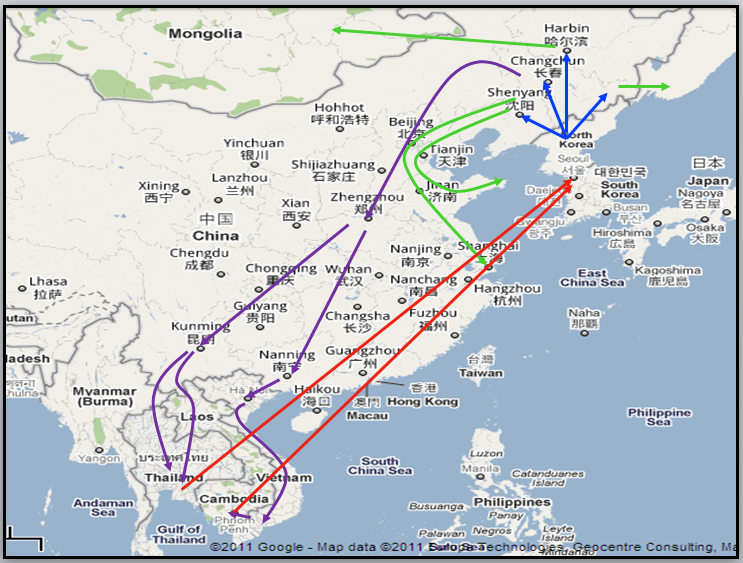 Thailand as noted above is no stranger to military takeovers. While in the past the military has stepped back after time to allow governments to form again, all signs indicate that as soon as the elected leadership crosses a line with the armed forces or begins to threaten their authority, they jump back to take charge again. The denial of fair elections for the people of Thailand, notably the red shirts, underscores the difficulty the country will have in moving forward. Opposing authoritarian measures such as the limits on assembly and peaceful protest must continue to delegitimize the ruling military authority. Internationally support of the Thai people who seek democratic reform, regardless of their political affiliation, can expose the nature of the military junta and facilitate further pressure to reform more quickly. The red shirts demanded the right to vote and were denied, so now it is time to see if the reform the yellow shirts pressed for will actually take place. 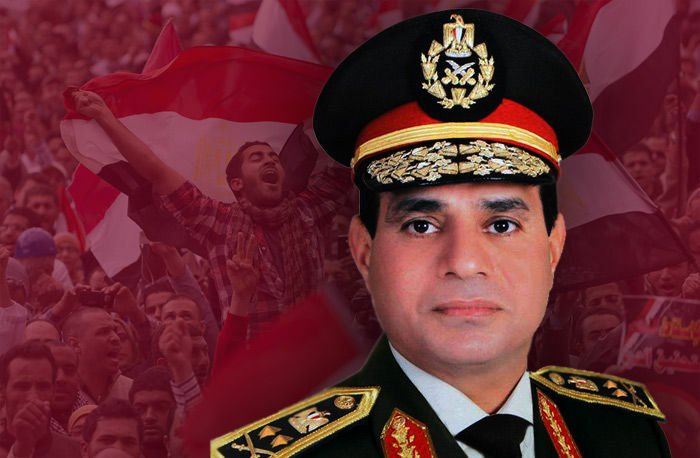 President Sisi, Egypt’s Next Autocrat? Egyptians celebrated a tremendous achievement when the dictatorship of Hosni Mubarak was toppled on February 11th, 2011. Unfortunately, that victory was short-lived because the subsequent leader, Mohammed Morsi, fell far short in delivering on the people’s goals of “bread, freedom and social justice.” Now a year after Morsi’s leadership abruptly ended, the military official who announced the coup to depose Morsi, General Abdel Fattah el-Sisi, is going to be elected the next President of Egypt. Sisi is expected to usher in a reversion to many of the same autocratic policies and practices of the Mubarak era that Egyptians fought so hard against in the first place. A defining hope early on in the Arab Spring was that with the downfall of autocratic leaders like Mubarak, Muammar Gaddafi in Libya, Ben Ali in Tunisia, and Ali Abdullah Saleh in Yemen, a new and promising future would be on the horizon for the region. However, with perhaps the exception of Tunisia, the aforementioned countries are still facing daily challenges in managing the difficult transitional period toward finding a new and stable government. Egypt as the largest nation in terms of economic size, population, and regional influence is once again facing oppressive military encroachment that will severely limit the potential of its people. After Mubarak was overthrown, the power vacuum was filled by the most organized institution outside of the formal state apparatus: the Muslim Brotherhood. The Brotherhood’s candidate, Mohammed Morsi, narrowly defeated the military’s contender in June of 2012. When Morsi became president he consolidated power to his own office until his controversial ouster via military coup on July 3rd, 2013. Morsi’s creeping Islamism in politics divided the country and resulted in sporadic deadly clashes on the streets. Conflict between the Brotherhood and the military apparatus that has persisted in tensions across the country and led to greater pessimism toward the future. Although Morsi was elected democratically, he turned his back on the majority of the Egyptian people by failing to implement the reforms expected of a new leader. The Brotherhood was banned by the current interim regime and nearly 700 people were sentenced to death by a court for their role in the violence on behalf of the Brotherhood though the decision is not yet final. The court ruling is shocking both in terms of scale and in terms of brutality, and has served to reduce the Brotherhood to a shell of what it once was. Originally a leader in informal community development and social projects across the country, the jump into the political realm for the Brotherhood backfired incredibly. Though Mohammed Morsi was responsible for mismanagement during his term as president, the planned execution of hundreds, persecution of hundreds more, and declaration by Sisi that the group would be wiped out are reminiscent of the Mubarak’s brutal repression tactics from when he was in power. Already the United States, which held an ambivalent stance towards the Morsi ouster, has warmed to the prospect of Sisi taking the reins in Egypt. After reducing military exports to Egypt, the US has begun sending Apache attack helicopters again in order to combat extremist violence in the Sinai peninsula. 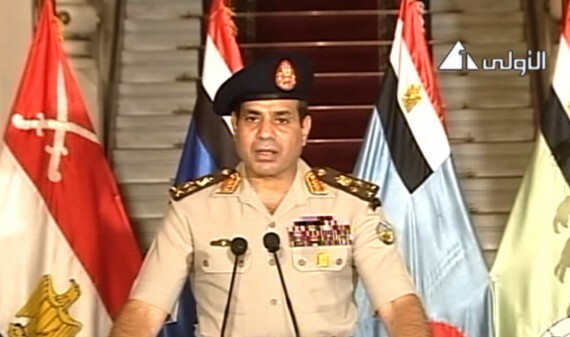 On June 5th it is widely expected that Sisi will be announced as the next president of the country. Sisi has manipulated his image to be a symbol of stability and opposition to Morsi, though it is clear that his military allegiances will not disappear once he takes the leadership role. “Sisi-mania” took the country by storm when General Sisi stepped up to declare Morsi as unfit in the military coup, and ever since he has been destined for the top spot and crafted as a reluctant but beloved leader. After more than four decades in the military, there is little question that Sisi will not deviate from the military interference in institutions and businesses that has kept them so entrenched in Egyptian society and politics. His reaction to the Brotherhood has suggested that opposition to his rule will be met with an iron fist, and the cult of personality that has been created around him marginalizes those who disagree with the direction he will take the country. What Egypt really needs is a more representative government that includes the real revolutionaries and liberals who ousted Mubarak, however those groups have been scattered and disorganized especially in contrast with the hierarchy of the military. Furthermore, eliminating the Muslim Brotherhood only pushes moderate religious Egyptians away from the state and gives the more extreme Islamic groups, such as the Salafis more legitimacy in their grievances. The reality is that Sisi will be the next leader of Egypt, and the future does not look bright in terms of his promises to moving Egypt forward. The liberal revolutionaries that hoped for a freer, more accountable, and less corrupt Egypt have in many ways been co-opted by the old military elites with a new veneer. The military apparatus in Egypt has successfully capitalized on the disappointment that came with Morsi’s presidency and Sisi’s camp has presented him as the only option left. The United States has already decided to play ball with Sisi, and the majority of the Egyptian people have begrudgingly accepted the reality before them though once he is in the limelight the dissatisfaction with the military may return. Hopefully slowly but surely, the aspirations that led to Mubarak’s fall may once again permeate into Egyptian politics to direct the country through positive development for the people. Sisi has made sweeping promises to alleviate poverty and interestingly says he will step down if the people rise up against him, but I for one wouldn’t bet on it just yet. The largest democratic election to ever take place is currently underway, but there’s a fair chance you have heard little about it. The Indian general elections to determine the next prime minister of the country as well as the composition of the lower house of parliament (called the Lok Sabha) began on April 7th, will continue until the 12th of May, and the winners will be announced on May 16th. In total there are more than 814 million eligible voters, which is over three times the amount of people eligible to vote in the United States’ 2012 presidential elections. Yet despite the scale and significance of these elections, they have attracted little attention outside of India itself. 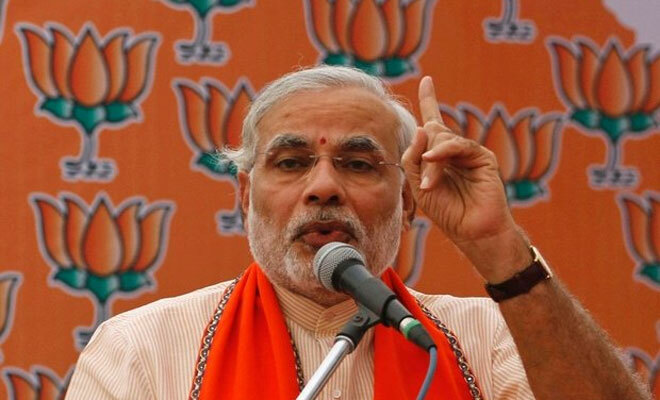 Opposition candidate for prime minister Narendra Modi of the BJP (Bharatiya Janata Party) may very well topple Rahul Gandhi, the candidate of the ruling Indian National Congress (commonly referred to as the Congress) which has been in power for the majority of India’s democratic history. Regardless of the results, huge changes are expected for the second most populous country in the world because of the swift rise of the BJP and Modi in contrast to the drop in popularity of the ruling coalition and Rahul Gandhi. The next prime minister’s term of five years will undoubtedly have a tremendous impact outside of India, though it has been largely overlooked thus far by Western media with the exception of the possible impact on financial markets. The BJP is a Hindu-nationalist party and the more conservative of the two competing factions, contrasted with the liberal nationalist Congress which has been the largest and leading party of the ruling coalition since 2009. In fact, the Nehru-Gandhi family to which Rahul Gandhi belongs has dominated India’s political scene since independence in 1947, though popular discontent with the status quo and the lack of the party’s ability to improve their ruling image has eroded some of their support. 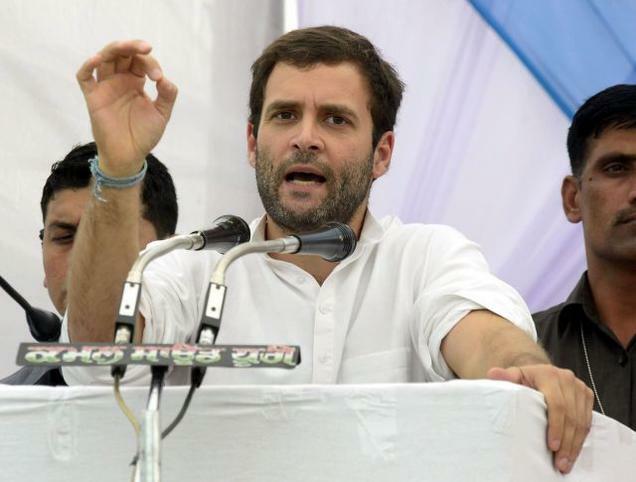 Rahul Gandhi, referred to as ‘the reluctant prince,’ until recently played a back seat in politics and has been overshadowed by his family’s image and history. Modi on the other hand, is a dynamic and controversial figure who has been praised for his economic growth as Chief Minister of the Gujarat state, but criticized for his handling of key events and lack of human rights development. During the 2002 riots in his home state of Gujarat that led to the deaths of hundreds via communal violence, Modi was lambasted for failing to curb the conflict and subsequently faced a special investigation. Though Modi was not convicted of any willful wrongdoing he was condemned internationally by countries like the US, UK and Pakistan. Despite these issues, Pakistan surprisingly endorsed him in the current election because they consider him a ‘strong leader,’ and Western countries have showed a willingness to work with Modi if he does indeed win. Thus, the elections have been framed as being between a status quo and party line follower in Rahul Gandhi, or the riskier but economically savvy Narendra Modi. Modi on the world stage will almost assuredly be a more divisive figure in comparison to Gandhi or the outgoing Prime Minister Manmohan Singh. Nonetheless, perhaps a greater foray onto the world stage could positively pay off for the country set to be the world’s most populous by 2028. This election should not be forgotten as soon as the winner is announced. Indian politicians spent approximately $5 billion total on their campaigns, making it the second most expensive election of all time after the 2012 US presidential elections. The volatile relationship between India and Pakistan is a critical issue the next Indian leader in power must grapple with, as is managing the growth of one of the top ten largest economies in the world. India pursues a non-aligned and self-focused agenda, but its worldwide impact will continue to grow regardless of these goals. There will be a new prime minister for 1.2 billion people on May 16th, though the US and West should not wait until then to start planning future cooperation with India. Preemptively strengthening ties and adapting to the new leadership early on are much more favorable actions that should be taken in order to avoid being caught flat-footed when issues may arise. India may not be the most active in terms of foreign affairs, but there are huge benefits to greater economic collaboration and human rights development possible in the years ahead. For more background information on the Syrian Civil War check out this post or read my preceding update on Syria. At least 150,000 people have been killed as the Syrian Civil War enters its fourth year of fighting. The bloodshed has become so devastating and the fighting so entrenched that the United Nations has ceased formally counting the casualties because of a lack of verifiable information. 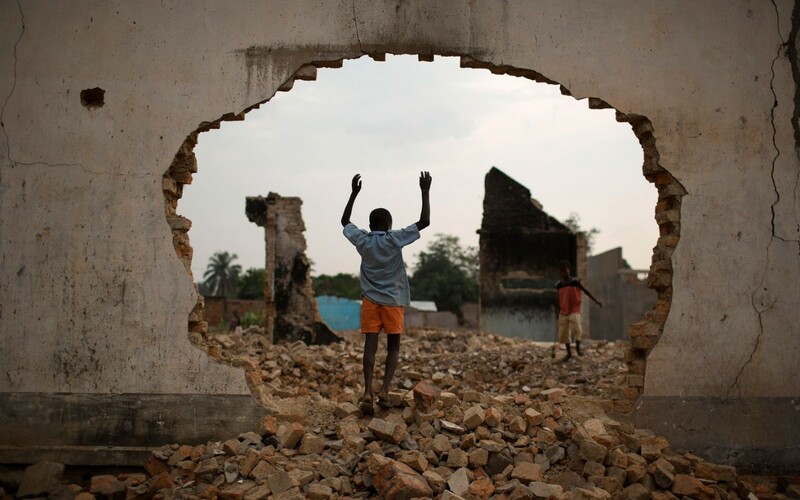 Since the shock from learning of atrocities has subsided and without a major breakthrough by either side, coverage and interest in the conflict has waned. The unfortunate fact of the matter is that the longer the civil war continues, the more the security of the whole region will be threatened, and the tougher it will be for millions of civilians to return to normalcy. The total number of Syrians who have fled the country is now around three million according to UN High Commissioner for Refugees Antonio Guterres as 2.6 million have officially registered as a refugee in a foreign country. For comparison, if the same percentage of people were to flee the United States that would amount to nearly 42 million refugees, more than the entire population of California. Even if the civil war were to suddenly cease tomorrow, the effects will be felt for years to come for Syrians in the country and those who have resettled regionally and internationally. The first and second rounds of the Geneva II Conference concluded quietly in February and failed to accomplish anything meaningful. A third round is potentially in the works but there is heavy pessimism on all sides because little has changed and it seems nobody is willing to truly reconcile on key issues. In terms of chemical weapons, it is still possible for the OPCW (the Nobel Peace Prize winning organization tasked with removing the weapons) to complete their mission before the proposed deadline of mid-2014. While taking chemical weapons out of the equation is a great accomplishment and should be praised, unfortunately this is only a minor element of the war at large and will not by itself have a ripple effect in lowering violence. Spillover from the conflict is apparent through violent attacks in Iraq and Lebanon, and is causing a constant worry for Syria’s other neighbors of Jordan and Turkey. Whether it be violence directly occurring within Lebanon, or the collapse of local markets in southern Turkey, sprawling animosities and the refugee crisis are impacting the region as a whole. International and regional aid has been fluctuating depending on the circumstances, but obviously the longer the conflict goes on the costlier it will be and the more difficult it will be to properly gain the resources necessary to rebuild. Fighting and shelling may have subsided in some areas, but it is clear that the underlying tensions are just as pressing as ever. Without any political reconciliation or any kind of formal cease-fire, any drop in direct combat between government forces and the opposition could very well translate to an increase in irregular and indirect fighting. Unfortunately too many Syrians and international fighters on both sides are still making the choice to enter the battlefield and risk their lives instead of suing for peace or seeking alternative solutions. A cessation to the bloodshed cannot be instituted successfully without the acquiescence of fighters on the ground, and the process cannot move as quickly in the right direction without international resources and assistance. What can be done is to not ignore or brush aside the problems of Syria as ‘business as usual.’ These are real people who may be a half a world away but deserve the world’s attention because the atrocities and the devastation have continued and will continue. A renewed effort at seeking political reconciliation and an emphasis on how little violence has accomplished thus far should be a priority. There are next to no opportunities present for either side to seriously consider putting down their weapons because the incentives to disarm have been too few, and too many grievances have not addressed. Even small, concerted efforts towards a cease-fire could have beneficial impacts in the long term. Syria will not conclude its civil war until the Assad issue has been resolved, and the opposition has presented a real alternative. Russian President Vladimir Putin announced on March 18 that he signed a treaty with Crimean leaders to annex the Crimean peninsula from Ukraine into the Russian Federation. Putin claimed earlier in March that pro-Russian self-defense forces (not Russian military units), entered the Crimean peninsula and established control over government buildings, airfields and the strategically significant Sevastopol port on the Black Sea. The action comes after months of anti-government protests in Ukraine culminated in the ousting of their Moscow-backed President, Viktor Yanukovych. In response, the US, EU, and other Western governments have condemned the military incursion, suspended Russia’s membership in the G8, and have placed economic sanctions against Russian officials with further measures pending. Ukraine has pulled its forces out of the peninsula to avoid military confrontation, leaving the peninsula and over two million Crimean people under Russian control. Direct warfare between Ukraine and Russia is very unlikely and would be devastating for both; Ukraine would be affected more in terms of loss of sovereign authority and Russia in terms of tarnishing what legitimacy and reputation it has left. War is an option that neither side wants. 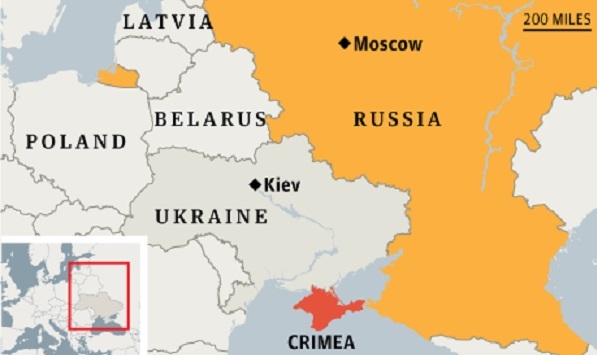 What is more likely to occur is a quasi-controlled Crimea territory under Russian control that deepens the political and economic divide between Russia and the West. More trade agreements and political summits will be either cancelled or postponed, and effective cooperation in the near future will be largely undermined by the Crimean issue. Putin has staked too much on Crimea to withdraw quickly, and the West cannot let the controversy go unpunished else leaders will receive criticism for appearing acquiescent and weak. The focus on the conflict between Russia and the West will likely center on saving face rather than direct and significant action from this point forward. Despite the strong rhetoric against Putin’s actions, producing a tangible deterrent to Russia could potentially cost the West just as much as it would affect Russia. In today’s globalized economy, the reality of options that the US and the rest of the international community can implement effectively is limited. Actions such as suspending Russia from the G8, cancelling trade agreements, and organizing additional military exercises are more important in a symbolic sense than a practical one. European nations are too highly dependent on Russian natural gas, and international business leaders don’t want a war over the Crimea which would undercut their profits. The sanctions and cancelled summits thus far have been targeted on Russian economic and political leaders believed to be profiting on the Crimean crisis and more have been promised, but the impact will assuredly not coalesce Russia into doing an about face on the issue. Crimea has a population of about 2.3 million, the majority of whom are ethnically Russian and speak Russian though almost a quarter of the population are ethnically Ukrainian. There is an additional Crimean Tatar minority which has returned to the peninsula after they were forcibly deported in WW2. The Tatars have expressed their fears of increased persecution under Russian authority and many have fled further west into Ukraine. Thus clearly the ramifications of the intervention have angered more than just the world at large, it has had a real impact on stirring up past grievances. The closest comparison to what is happening in Crimea at present is the reaction to the conflict over South Ossetia, which has been under de facto control of Russian and South Ossetian authorities since the 2008 Georgian War. 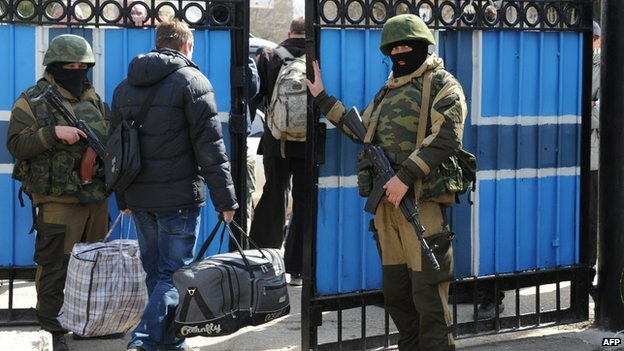 Similarly to Crimea, South Ossetians passed an unofficial referendum that voted for independence the ruling government did not recognize, and Russian military forces occupied the area in the name of protecting their civilians. The vast majority of the international community condemned the incursion, and in addition to Russia only four other countries (two of which are tiny Pacific island nations) recognized South Ossetia as a sovereign state. What is next for Russia and Crimea depends on how Putin and Western leaders manage their leverage over one another. Neither stands to gain significantly from isolating the other side economically or even politically, but simultaneously backing down would only serve to embolden the competition. Crimea will continue to be officially considered part of Ukraine though the reality that it is under Russia’s wing will serve as a wrench in negotiations for some time. The majority of the Crimean people voted in favor of joining Russia, and those have effectively had their wish granted. Excluding select elements of Russia’s leadership, few others stand to gain, and even then in the long run it is hard to tell if the benefits will outweigh the costs of the decision to intervene.